– Prizes and Giveaways all night! – Balloon drop at Midnight! – Drink Specials all night! – Coat check will be available! 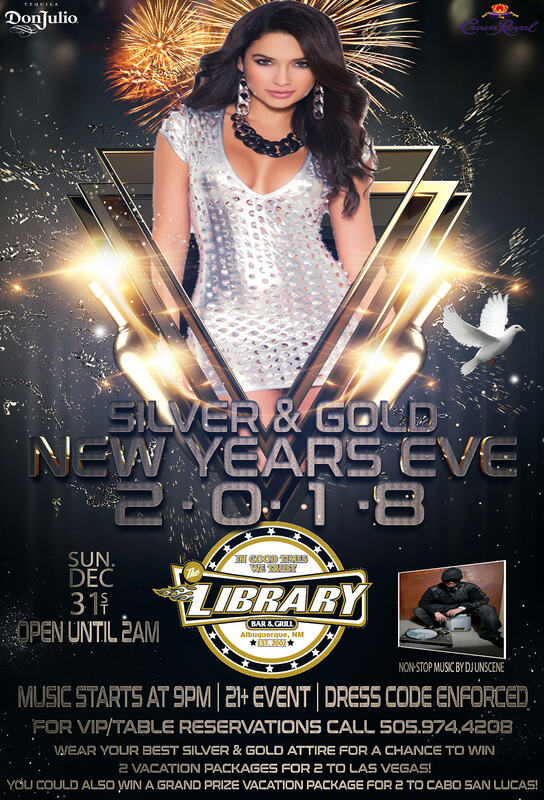 – We will be open until 2AM to bring in the New Year! For VIP/Table Reservations call 505-974-4208 for details! See you beautiful people this Sunday for NYE 2018!